Any information as to the where abouts of this Truck would be greatly appreciated. 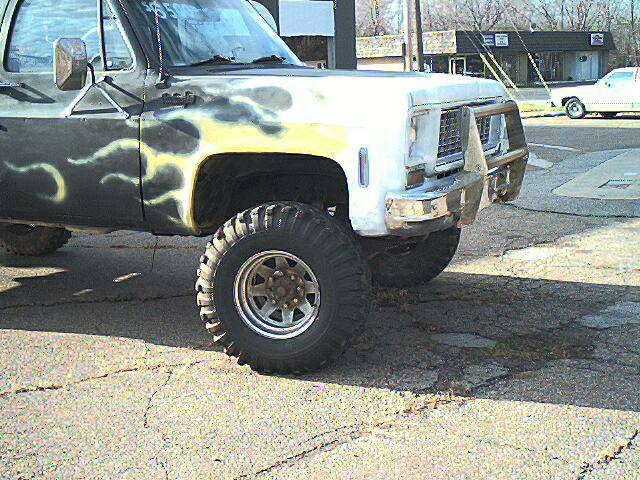 Full Size 3/4 ton, 350 Chevy with mild cam, 350 Turbo automatic transmission with Full Time 4 Wheel Drive, very capable of melting the 16.5" Monster Gumbos. Chrome wheels, Chrome Push Bumper, with plenty of Chrome on the motor, and a Double Roll Bar. 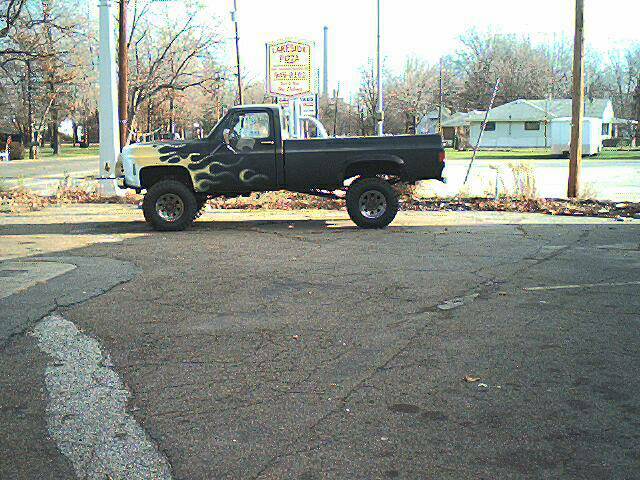 9" Lift, Spring in front and block in the rear, for 32" off the ground. A very solid vehicle with all welded panels. 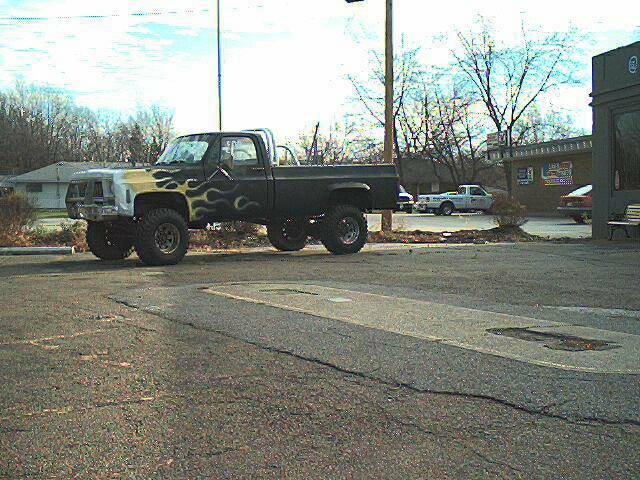 Complete with Hillbilly Yellow Flame Job!. $6,500 or best offer, needs some TLC, must sell. One of a kind. This Truck was destined to be featured on the NudeAutoMall when it was discovered missing.